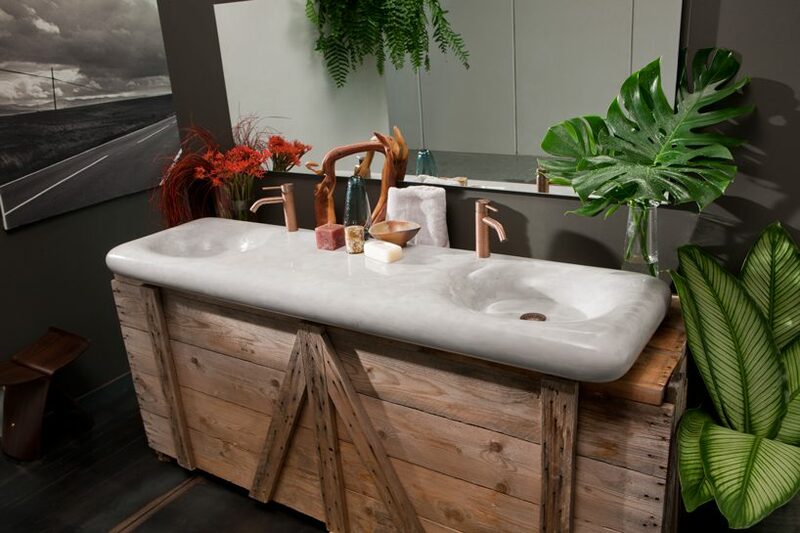 Miguel Herranz has designed a series of sinks in natural stone for Nerinea using robotic machining to bring out the elegance and purity of the original blocks. 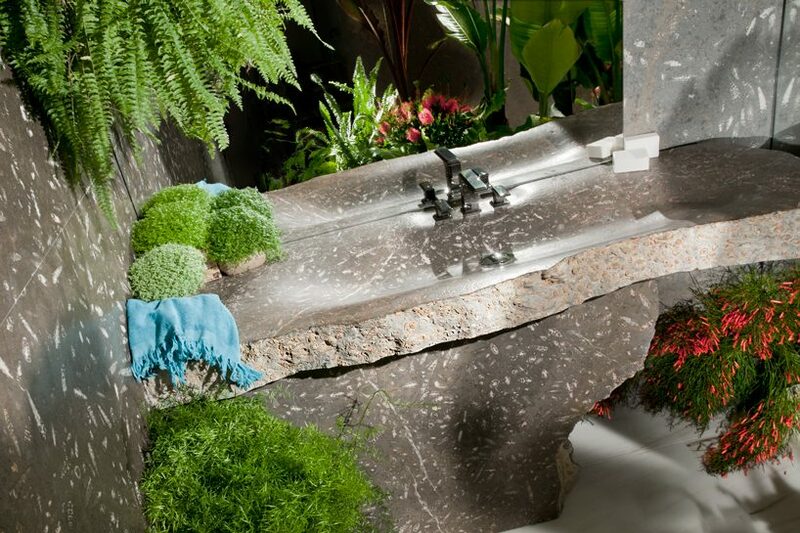 providing a fresh take on the conventional white oval sink on a rectangular countertop, or column, the ‘essence’, ‘flow’ and ‘erosion’ collections cater to the spa-like sanctuaries modern bathing spaces are turning into. 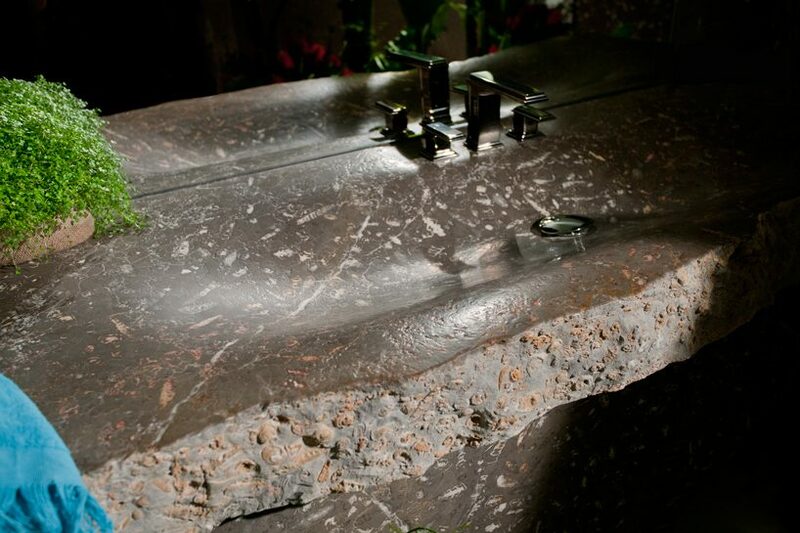 ‘the stone and water are an inspiration for me,‘ explains the Spanish designer who has composed different types of minerals for the sculptural pieces, including golden noir from Zaragoza, Spain; soft grey from Burgos, Spain; and Calcutta from Carrara, Italy. 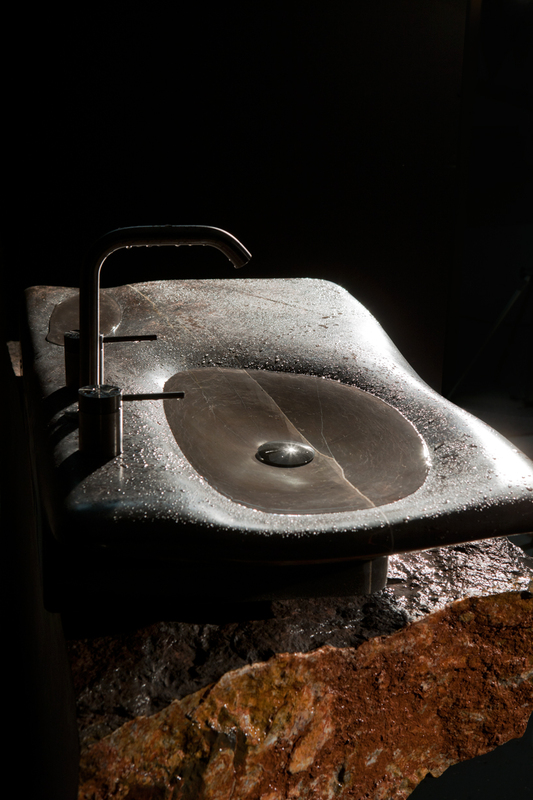 ‘I work with an analytical-anarchical creative process that I call the conceptual nebula,’ mentions Miguel Herranz while discussing his design process for the Nerinea sinks, ‘this makes it possible to create conceptual tools for real solutions based on analyzing the three core elements found in every project: culture, industry, and society.’ ‘I apply this process for both product design, and for creative direction, design thinking or design management,’ continues Herranz, who is also responsible for the brand’s creative direction. 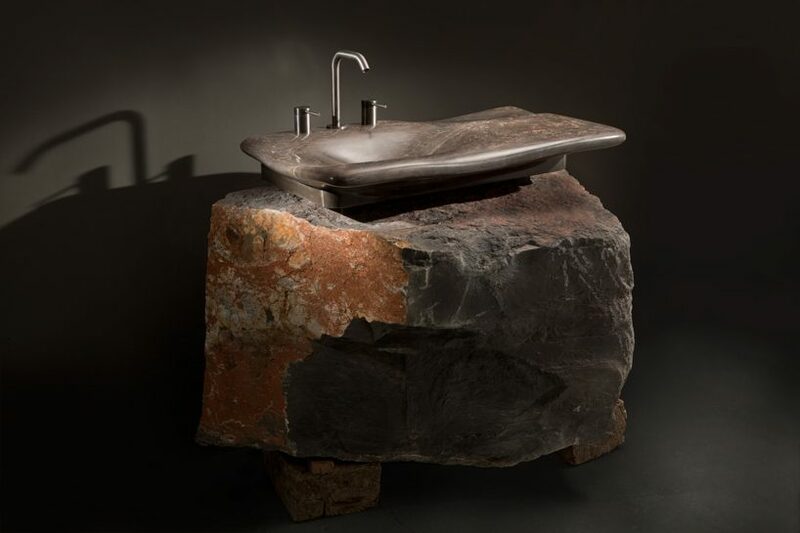 shifting the standardized form of the sink, the ‘essence’ collection draws on elemental forms that emphasize the power and volume of natural stone. for ‘flow’, Herranz has created a lightweight sink with a slightly recessed base that allows it to rest on countertops of only 35 cm-depth, making it an ideal solution for small spaces. 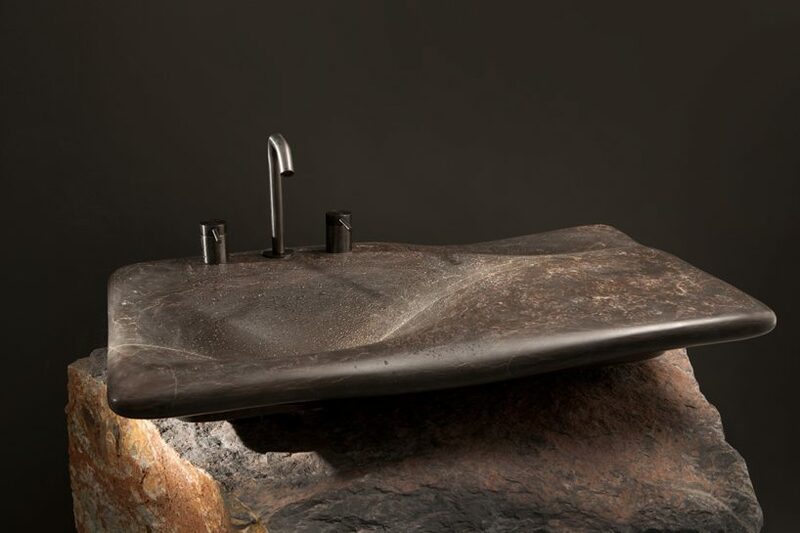 in the ‘erosion’ collection, the beauty of the stone is emphasized with a sculptural gesture that evokes the movement of water.